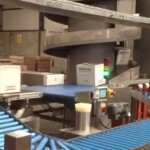 Goliath’s Service Division offers after-sales service either on a planned (contracted) or emergency basis for its full range of packaging equipment / materials handling systems. To maintain installed equipment in best working order it is recommended that all such equipment be serviced at regular intervals as per manufacturer’s recommendation. All elements and components should be thoroughly examined, inspected and maintained to ensure continued efficient and effective operation and to provide a safe working environment for your personnel. Critical Spare Parts are maintained at our Service Centre in Nenagh for immediate shipping. The very nature of stretch film means that it can handle the majority of pallet load profiles at the same time as reducing labour costs and even reducing storage space. 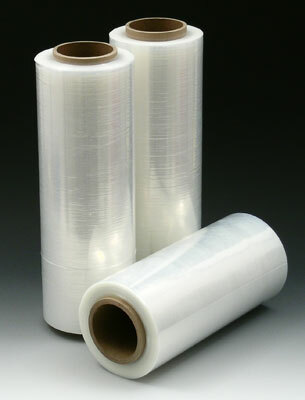 The stretch films we supply are safe to use and made of low energy materials. 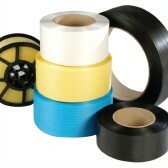 A product prominent in our strapping range is our polypropylene strapping which offers significant advantages over conventional polyester strapping. It is ideal for non-linear applications, being lighter than polyester, offers a significant cost saving per linear metre. Degreasing detergent as Supersol but not as effective but will not foam as much as Supersol can be used in smaller tanks. As above but again has the pine perfume additive. Heavy duty alkaline detergent used to remove heavy build up of proteins. Should not be used on any aluminium as it attacks this and will turn it black. Neutral Detergent used extensively in the chocolate industry for washing moulds. Can also be uses on aluminium, it contains Polyphosphate and an additive called EDTA which prevents scale build up. This is a widely used, multi-purpose detergent. BactiRinse is a combined rinse aid and sanitiser. Will help components to dry by turning the droplet on the product into a smear of water, thus producing more surface area so the moisture will evaporate more readily. It also has a quaternary ammonium sanitiser built into it. Blue in colour but with the properties as above without the sanitiser.